Omg, this anime just gets better and better. The cliffhanger left off at a pretty important part; it was obvious that something was going to occur, but something of this magnitude was not expected. 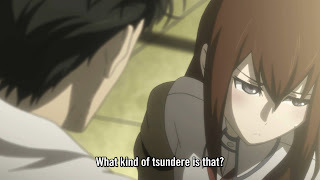 This is definitely the best anime of this season at this point; I mean, just this mid-series plot development is better than entire climaxes of these other anime. 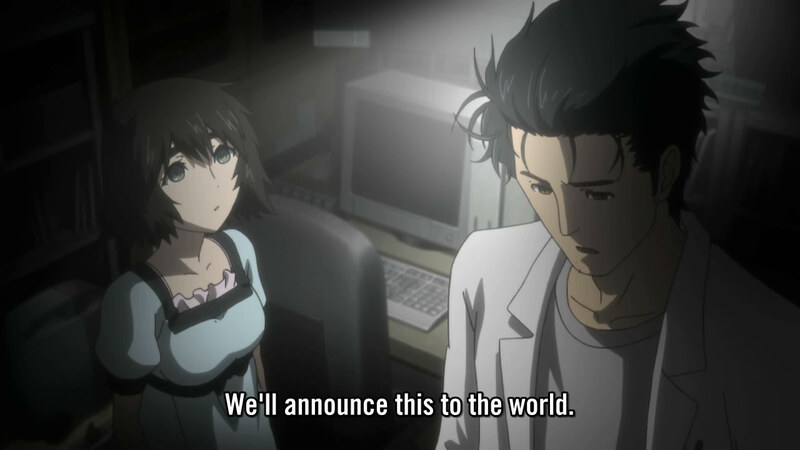 The huge revolving factor of this episode was the decision to announce their invention to the world. It showed that after the incident with Akihabara, he doesn't want to risk distorting time to such an extent again. It's proof that he knew he was in over his head, which is something that all the members realized quite quickly. Personally, I think my thirst for knowledge would be great enough to need to test if the time leap machine actually worked. This is probably why SERN had to step in on them. They were fine with them doing research and experiments, but they didn't want everyone to know of the existence of time travel. The super questionable change of 3.24TB of data into 36B was pretty mind blowing, though; that's some quality SCIENCE. 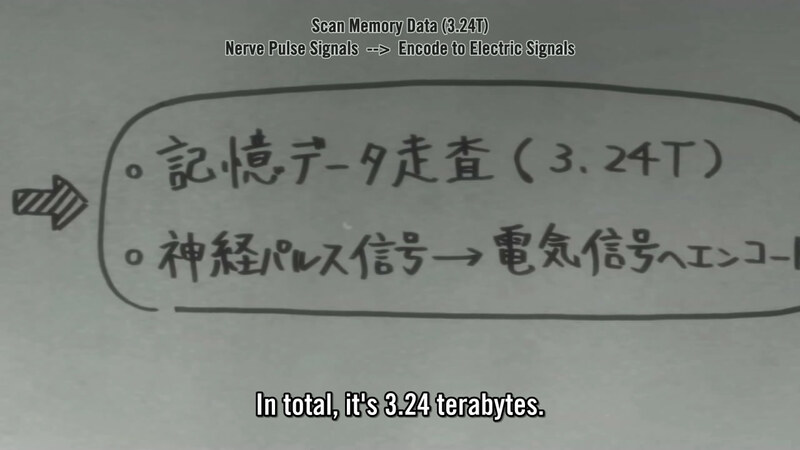 At this point, I must think that the writers have no idea how compressing data actually works, since it's NOTHING like that. They clearly don't understand that compression of data and compressing something physical is different. Even if you could compress the data in some magical form, no computer that wasn't made of magic could read it. Maybe if they had a white hole (which is just theoretical, whereas black holes do exist) to un-compress the data... That is as short of an explanation as I can give; the point is that this is proof the writer doesn't understand how compression works. The part-time soldier is pretty obviously John Titor now. 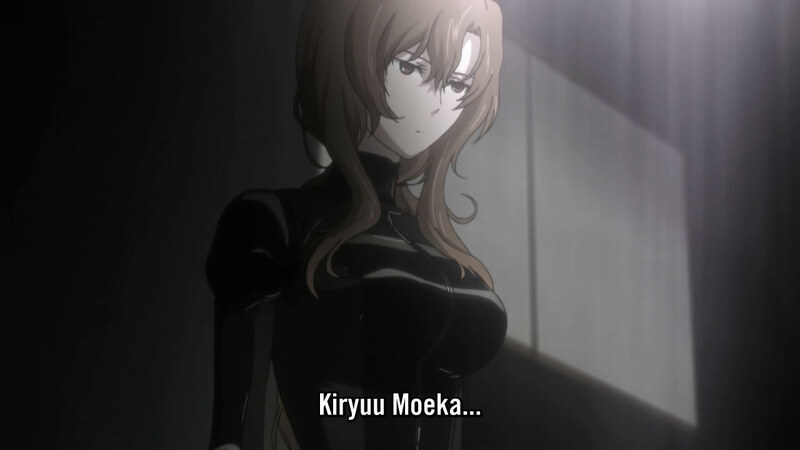 I mean, she even mentions that she knows, that in the future, Kurisu will be the enemy. She clearly knows more than she leads on about the future and is an enemy of SERN. 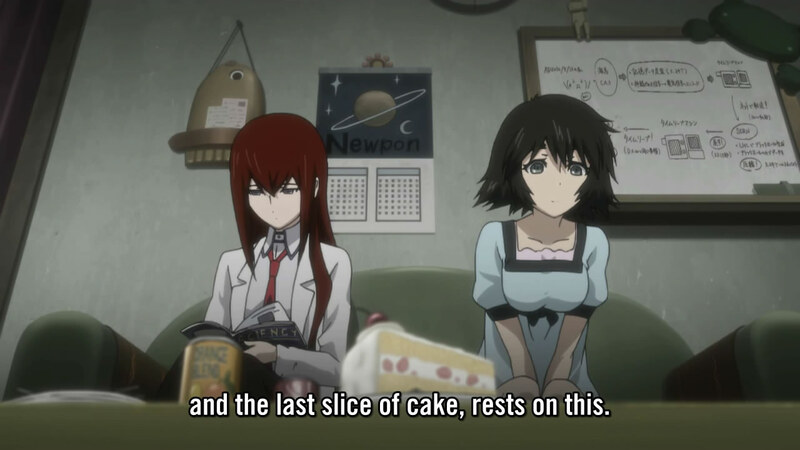 She seems to be warming up to Kurisu a bit, though. 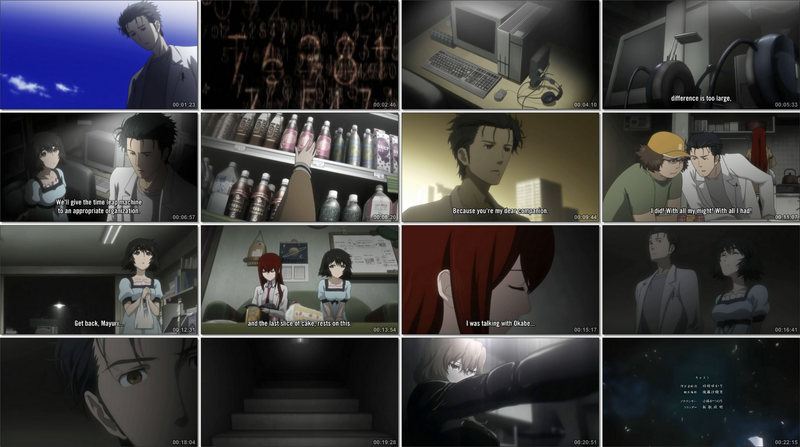 I also believe that the first episode with Kurisu dying to be somehow linked to this. 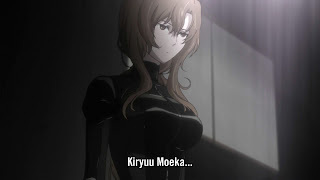 Her death might be some foresight of what Ookarin must do to save them all from the pain. I didn't even like her, but she looked so kool with her entrance. I didn't see this coming at all, though. This does explain why she does not return after she sent her D-mail. She originally went to investigate whether they really had a time machine; with confirmation, she didn't need to join up again. It was obvious that something bad would happen, since the show would end if they didn't time travel any more. I imagine that the part-time warrior will come back in to stop SERN from taking them away. 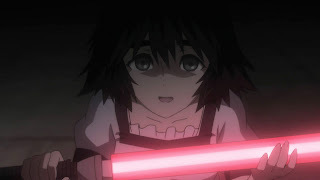 It'll give Ookarin a reason to time leap, so that he can save Mayuri. I am inclined to believe that Mayuri is special, based on the start of the episode; we just don't know why yet. I think she is feigning ignorance and can feel the shift in timelines too. With her original wish on the star, that she felt the change just like Ookarin would seem like a plausible explanation.